In this installment of the Glocal Notes faculty and staff interview series, get to know Mara Thacker, the South Asian Studies librarian at the International and Area Studies Library. Mara is responsible for growing our South Asian studies collection, meeting with patrons with research related to the region, and supervising the library’s graduate assistants. Read the rest. Today, as part of our ongoing staff interview series, I am pleased to introduce you all to Dmitry Tartakovsky, the South Slavic specialist in the International and Area Studies Library’s Slavic References Service. 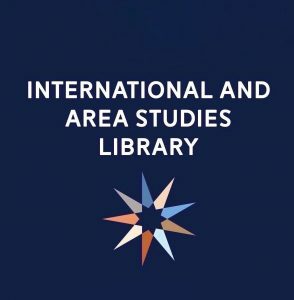 When I first began here at the International and Area Studies Library, I quickly realized how big and how busy the Slavic References Service was. Read the rest. “Global Food, Locally” is a series designed to introduce you to the International and Area Studies Library’s new graduate assistants as well local dining options for food from around the world. In our third installment, Ashley Sheriff reviews the sushi at Kamakura and Yellowfin Japanese Restaurants. I have lived in Champaign, Illinois for approximately seven consecutive years, having finished my undergraduate program in 2010 and having stayed to pursue a graduate career in both Library and Information Science and African Studies at the University of Illinois. Read the rest.